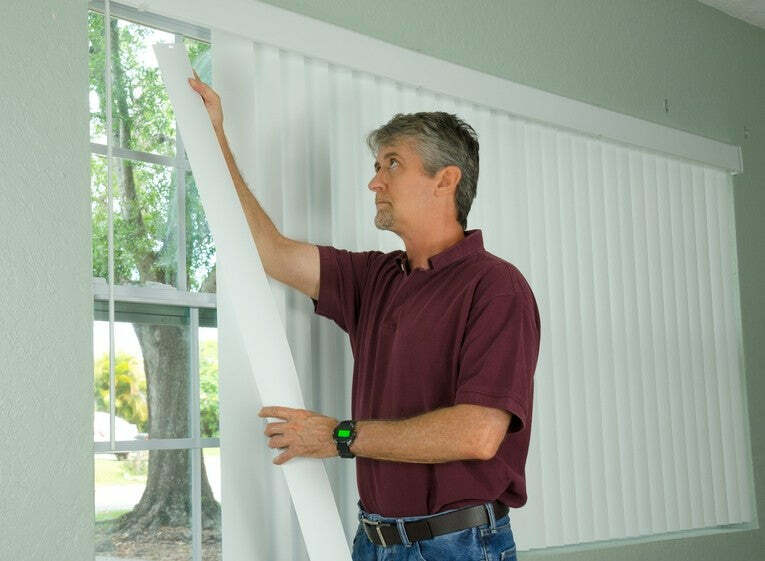 Vertical blinds generally tend to be a long lasting versatile product. However, the slats in time can become faded, worn, damaged and may need replacing. This can easily be achieved. A vertical blind head rail consists of carriers that the slats hooks onto and is connected along the bottom by a chain link system. You need to detach the slat by unhooking it from the carrier and disconnecting the chain link along the bottom edge. Then simply hook your replacement slat into place and connect the chain link. With the ever changing interior fashions you may decide that you want a fresh look in your room. This can be achieved by changing all of the slats on your vertical blind. There are a range of various designs to choose from dependent on your style. If you want subtle look a self patterned design in a neutral colour would be the perfect choice. For impact choose a bright, bold colour. You can even have the slats in alternating colours/patterns to give your window a real statement.